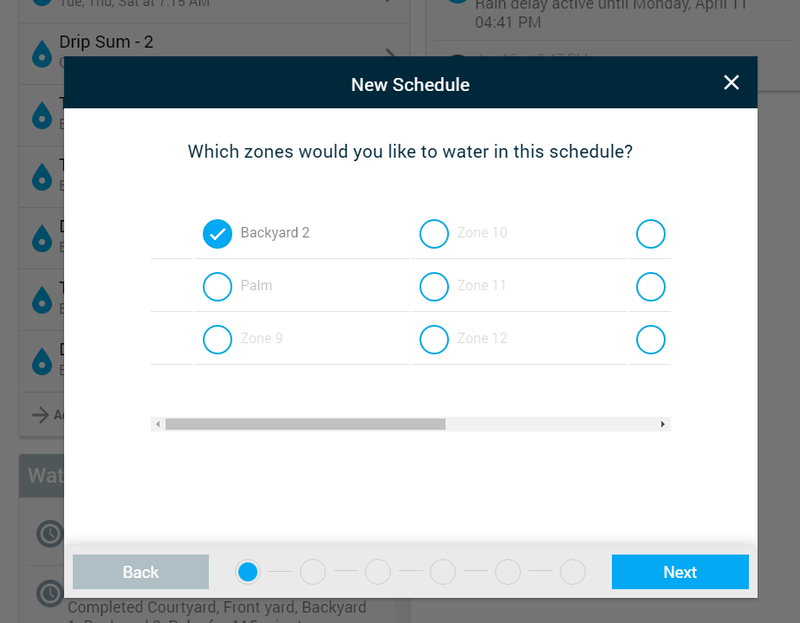 Maybe the 2.5 web app hasn’t rolled out entirely, but I just went in to try to add a schedule using the new web interface and zones 1-5 were missing from the zone selection screen. When I got to the final screen for schedule setup, zones 1-5 were present and had watering times. At present time, I cannot deselect any of those zones due to the odd behavior of the zone selection screen. This is using Chrome, with script blocking disabled. Are these zones in a different schedule already? All zones are in pre-existing schedules. 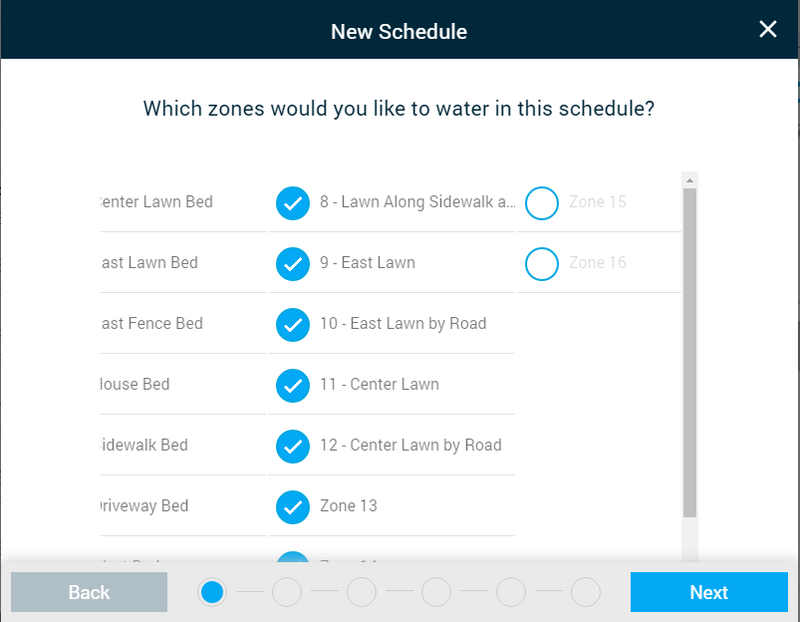 I disabled my spray schedule prior to creating a new schedule, but zones 4-5 (spray) as well as 1-3 don’t show up in the web interface. I can select tree drip zone (#10) even with that zone already in an active flex schedule. I see zones 6-16 available in the selection screen (11-16 are not in use by the controller). Observing the same issue in Firefox 45.0.2. 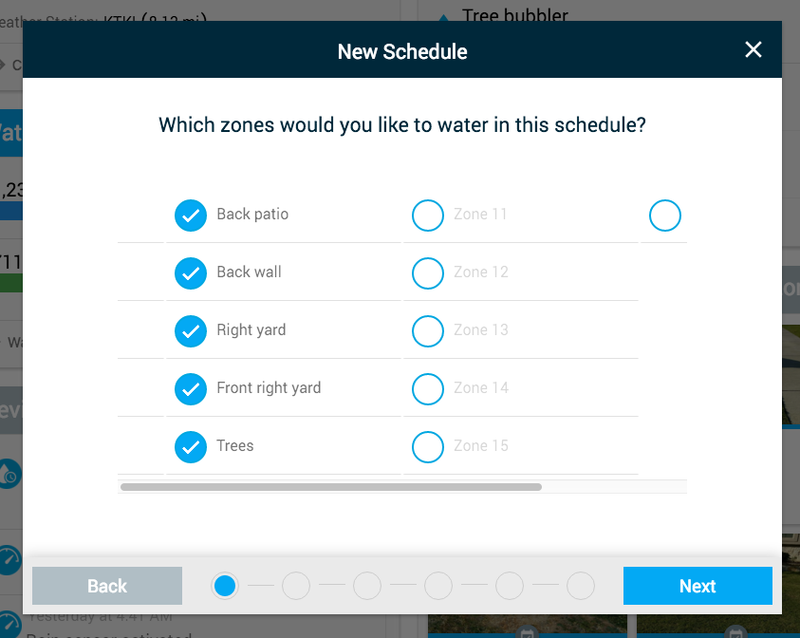 I just went in to try to add a schedule using the new web interface and zones 1-5 were missing from the zone selection screen. Observing the same issue…Zones 1-5 missing. @wx16 & @FiveStrBass – I’d like to try to reproduce the issue you’re experiencing on your account(s). Could you send a quick note to support@rachio.com with your Rachio username and reference this community post? I notice the same problem with my zones 1-6 when trying to add a schedule on the web app, so I just selected zone 7 and continued. 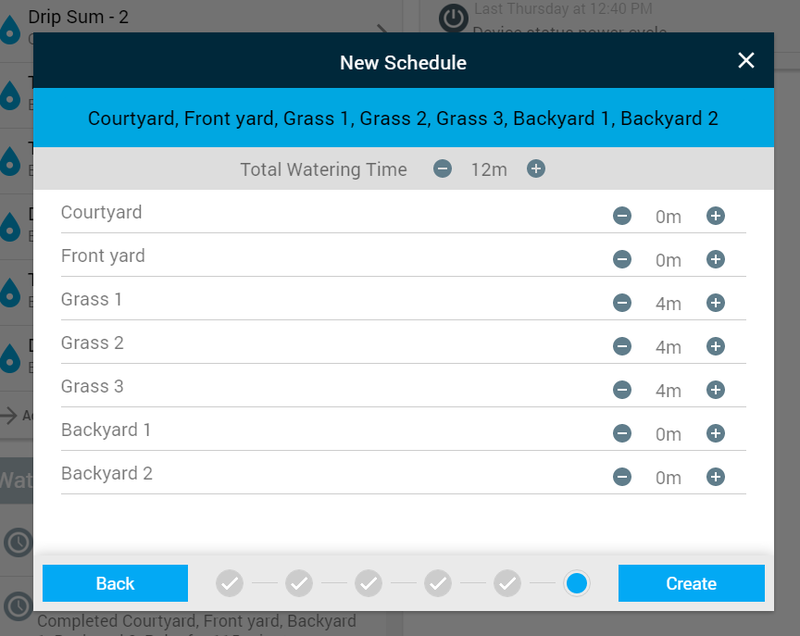 When I got to the total watering times settings, all the zones were there.For the ones I didn’t want to use I made the time 0 minutes. Not the best way to do it on the web, but it works. I ended up deleting that schedule and doing it right on my iPad. @wx16, thanks. I believe I’ve replicated the issue. I know @Dan is looking into the issue. We’ll let you know when it’s fixed. This should be fixed (but may require a few refreshes). Let me know if anyone is still seeing the issue. How do I send it privately?